So you got the MPC500 the smallest and only battery powered MPC ever made,now pack it with some bangin SoundsForSamplers drum kits. 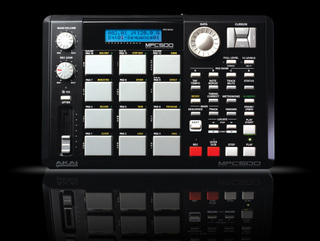 The MPC500 might be small but it is no toy,it`s a little power house. Its a great deal for the money,but you need to upgrade your sounds. Get the hottest drum kist ever made for the smallest MPC ever made right here. Buy on CD rom Or you can choose to get on CF card.